Big public events are often used to showcase new technology: the Consumer Electronics Show in Las Vegas, the Bett Show in London, and now the Glastonbury outdoor festival in England, where early last the mobile phone company Vodafone chose to showcase a new line: the Power Shorts, an item of clothing that turns motion and even body heat into electricity. The shorts were naturally a big hit, and quite appropriate for the venue since they use motion (like dancing), to boost the battery life of your mobile devices. Created with help from scientists at the University of Southampton, the shorts incorporate a Power Pocket that contains foam-like ferroelectret materials with pockets of permanently charged surfaces. When the material gets squashed or deformed through movement, kinetic energy gets produced. 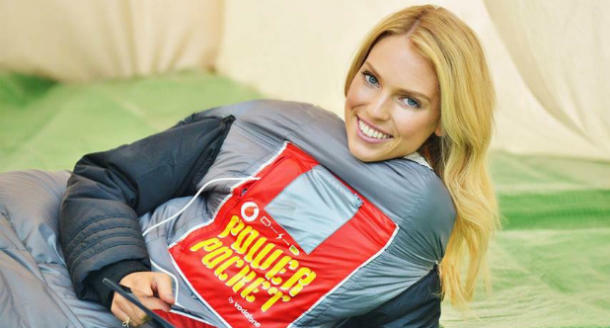 But for those who are looking for a way to charge their gear without exertion, Vodafone is also working on a Recharge Sleeping Bag. This bag apparently harvests body heat via the “Seebeck effect,” a process that produces a voltage from the temperature differences across a thermoelectric module. One side of that is cold and the other is hot, and when you get a flow of heat through it you can create a voltage and a current. Voltage and current together equals electrical power. And this is not the first time that Vodafone chose to unveil something new and innovative that just happens to take advantage of the principles of piezoelectricity during a musical event. 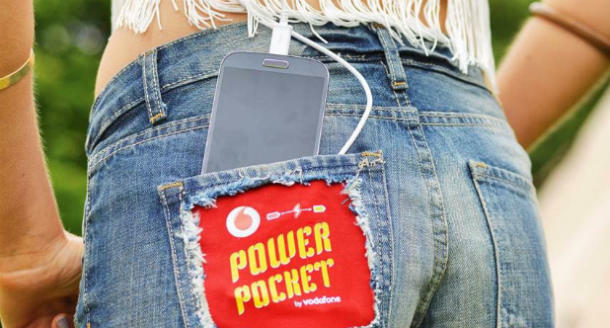 For those who attended the Isle of Wight Festival last year, the Vodafone Booster Brolley, a prototype parasol that keeps your phone charged while it keeps you dry might ring a bell. These are by no means the only examples of kinetic energy devices these days. 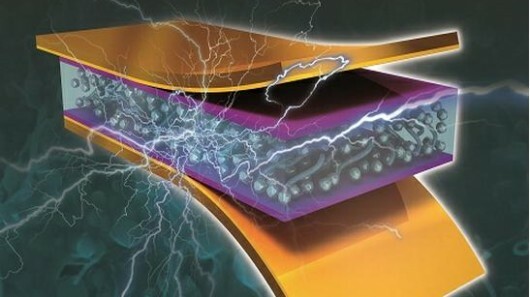 For example, a piezoelectric rubber material produced by Princeton and Caltech a few years back, is already being considered for shoes and other mobile devices as a means of recharging personal electronics. 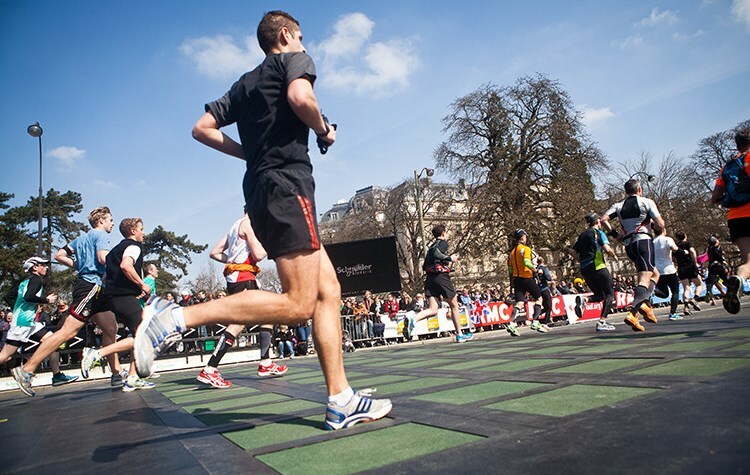 And remember Pavegen, the rubber panels that turned runners steps at the finishing line of the Paris Marathon into actual electricity? This technology is already being adapted to provide electricity for a Grammar School in Kent, England, utilizing the thousands of steps students take everyday to keep the lights on. Such concepts are likely to be powering just about all our devices in the not-too-distant future, at least in part. And beyond personal electronics, piezoelectric motors are also sure to be turning up in buildings and public spaces in the near future. In addition to stairways, hallways, and sidewalks, any surface in the city that moves or is touched on a regular basis could be converted to providing power. Very clean, and very renewable. People still do a great deal of getting around by foot these days, and if we can convert that motion into energy, so much the better! That sleeping bag is a great idea. I wonder how long before it’s commercially available? Not long, I imagine. Just be prepared for a big pricetag!